My children love to read, so I love to encourage literacy of all forms. I was very excited to read the media enhanced books from Weigl Publishers. We received three media enhanced books, Glaciers, A Lion's World, and There Once Was a Cowpoke Who Swallowed an Ant from Weigl Publishers. This nonfiction title explains to children what glaciers are, how they are made, and facts about glaciers. This book is good for students learning about landforms, as well as when discussing text features. This book has many diagrams, captions, and headings that you can point out to your child. I like interactive books for nonfiction titles since there are a lot of words they don't know, so the book can read it to the child. 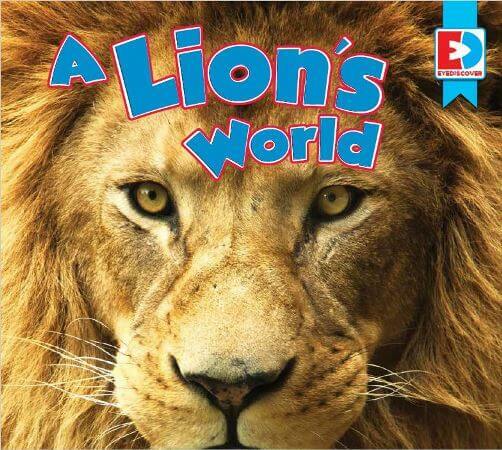 In this book children learn basic facts about lions. My preschoolers and first grader enjoyed reading this book. The words are simple and easy to understand with the accompanying video. Once you click on the arrow, the words are read to the child. This is a good way for children to practice reading skills. This is a fiction title that it is similar to other familiar titles such as I know an Old Lady Who Swallowed a Spider. Most children will know this reference and be able to relate to it. This story is set in the desert, so it would be a fun fiction book to read when talking about a desert habitat. The cowboy swallows different types of desert animals that you can discuss with your child. My children loved the bright, colorful illustrations in this book. They also liked that the story rhymed. Overall, my children loved the media enhanced books from Weigl Publishers. I would definitely add these stories to our homeschool curriculum, especially the nonfiction titles.